Traffic Arts Festival: This Saturday afternoon head down to the Piazza at Schmidts and take action to stop human trafficking in Philadelphia. The Traffic Arts Festival will raise awareness to the community through public speakers, national organizers and performers. Piazza at Schmidts, 969 North 2nd Street, Philadelphia, Pa. 19123, Free, 12 p.m.
Oktoberfest: Taste the best local and national brews Saturday night at Noche. For only $10, sample dozens of ales including fall specialties, Oktoberfish and Pumpkin. From 9 p.m. until 11 p.m. meet brewers and find out what it takes to make the perfect pint. Noche, 1901 Chestnut Street, Philadelphia, Pa. 19103, +21, $10, 9 p.m.
Party with Brody: Hang with Hills star, Brody Jenner Saturday at Dusk in A.C. Stepbrother to the Kardashian sisters and infamous boyfriend to just about everyone in Laguna, Jenner is ready to party this weekend with you. Bring your friends and hang with the TV star. Dusk, 2100 Pacific Avenue, Atlantic City, N.j. 08401, +21, $25, 10 p.m.
Sunday Brunch: Kill that hangover with brunch and unlimited bloody mary’s or mimosas at Derek’s in Manayunk. This Sunday, try their delicious brioche French toast, smoked chicken breast and Monterey Jack cheese omelette, smoked Atlantic salmon and more. Plus, every Sunday the entire bottle wine list is half-price. 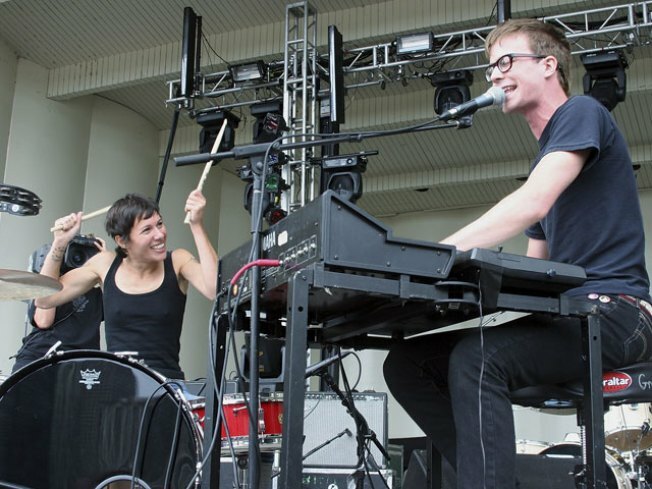 Derek’s, 4411 Main Street, Philadelphia, Pa. 19127, 10 a.m.
Matt & Kim: If you missed them in July, Sunday night is your chance to see indie hipsters Matt & Kim. Hear ten new tracks as you preview their new album, Sidewalks. The punk-pop duo are joined by Atlanta rapper, Donnis. Starlight Ballroom, 460 North 9th Street, Philadelphia, Pa. 19123, $15-$17, 7:30 p.m.